Rare Queen Butterfly Spotted in DeKorte Park! 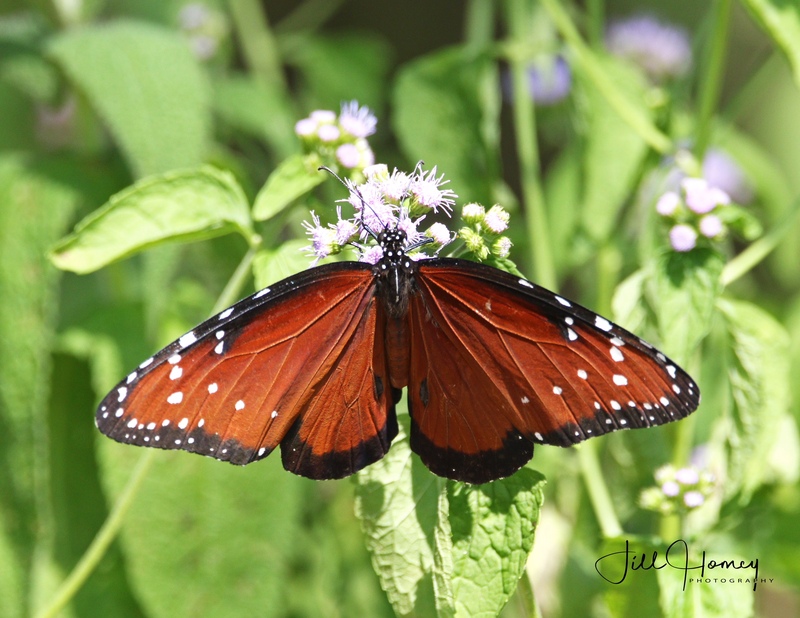 Jill Homcy came upon an extremely rare Queen Butterfly yesterday at DeKorte! Bergen County Audubon Society President Don Torino reports that only four of the species have ever been sighted in State history, and only one in North Jersey. 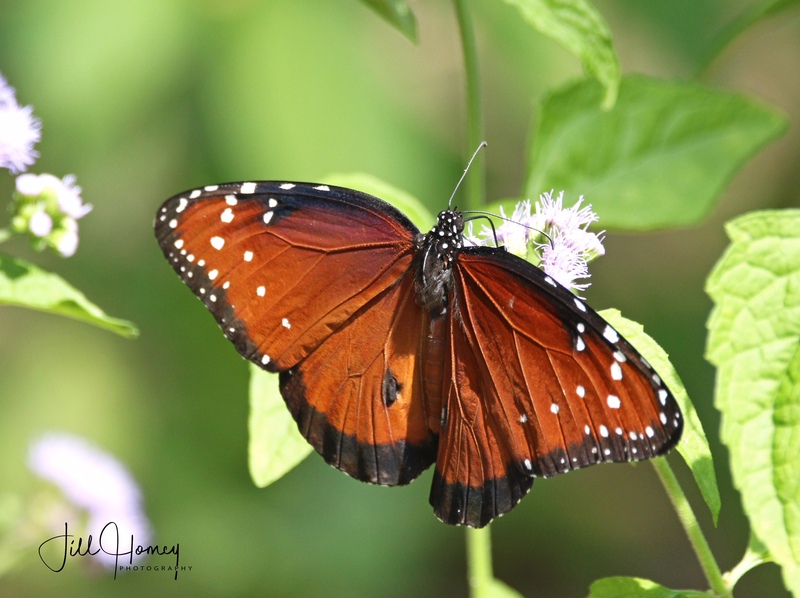 The Queen Butterfly was found at the Kingsland Overlolok near where BCAS generously funded the purchase of hundreds of native plants, including those that attract butterflies. I’m so glad I did! You never know where you’ll find that rarity. This Queen male was nectaring all around the mistflower on the hillside. 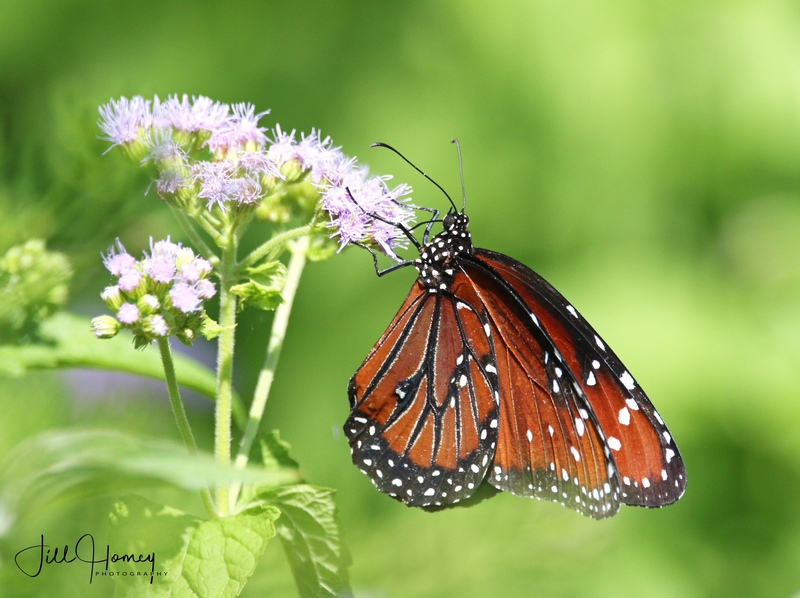 At one point two monarchs came in and mixed it up with him but he shortly came right back to the mistflower. Apparently not only was this my first time seeing one but also a first for the park! Chris Takacs relocated him later in the day. Hopefully he will stick around for a bit. We’ll post reports as we hear them as to whether the Queen was back today.